Complete Control of your Meat Company with One Solution. 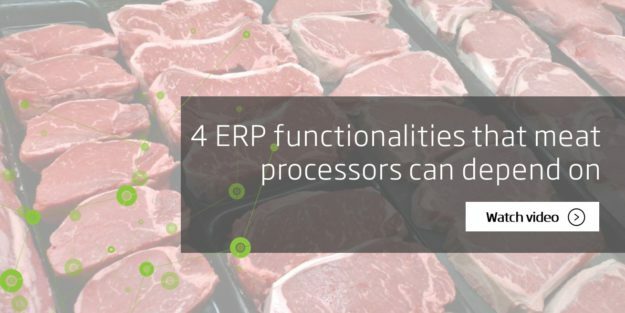 ColumbusFood ERP solution enables meat processors to run their businesses efficiently and effectively. This article highlights capabilities that will ease operations for a meat processor such as lot management (silos), labeling, tracking of containers, and automatic data capture. Production process in the meat and poultry industry often requires intermediate storage in what is called ‘silos’. Maintaining lot integrity of the products being introduced to a silo is to enable proper lot tracking. Columbus offers two methods for maintaining lot integrity when multiple lots are being combined into a single silo. This ensures optimal utilization of storage capacities and minimizes investments. Nutrition labeling is a mandatory requirement for meat processors. These labels are a vital component of the product package. 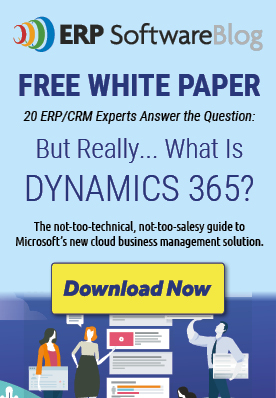 Since recipe definition is present in Dynamics NAV with ColumbusFood, the solution offers the convenience of importing the key nutritional data from Dynamics NAV directly to the Genesis R&D software. ColumbusFood ERP solution also enables meat processors to track the status and history of containers from drums to totes to railcars. All containers can be serialized and traced. Not only can the manufacturer view the status of the on-site containers but also has access to other information such as the contents of the containers. Weight and capacity information is captured allowing each container to be valued and stored by actual weight. Columbus’s labeling application is a huge benefit to processors who print various label types on a daily basis. In addition, Columbus integrates physical scales with Microsoft NAV to record the actual weights in real-time. In addition, ColumbusFood’s Automatic Data Capture (ADC) is a series of key warehouse transactions that allows processors to integrate handheld devices with Dynamics NAV. Want to learn more and see it in action? Watch the short demo video that highlights additional functionalities found in ColumbusFood. For more information on Columbus' solutions for the Meat & Poultry industry, click here.